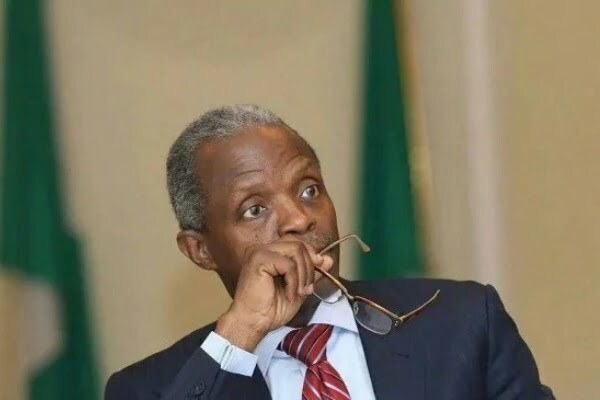 He insisted that the fact that Osinbajo is a senior lawyer and Chairman of the Board of the National Emergency Management Agency (NEMA) â€“ now alleged to have diverted the funds â€“ makes it mandatory for the Vice President to immediately step aside to allow for thorough criminal investigation to determine the veracity or otherwise of the issues collusion and core raised in the House report by security and anti-corruption agencies. He noted that it is appalling to hear that Osinbajo â€“ despite his public anti-corruption posturing â€“ could be remotely mentioned in such a scam where funds meant to provide succour for hunger-ravaged Internally Displaced Persons in the North East were allegedly diverted in such brazen manner. â€œWhat is most telling is that it now appears that the VP used his brief stay as Acting President to open up the nationâ€™s coffers for fleecing in this manner with the approval of the N5.8billion to be disbursed from the Euro Bond account and another N17billion he caused to be released from the Ecological Fund. â€œThese acts of financial recklessness are most unbecoming of a person of the Vice Presidentâ€™s standing. He has a lot of explanations to render to his Principal â€“ who was on medical vacation at the time â€“ and to Nigerians â€“ whose trust has been rudely shaken by this stinking corruption affair. â€œBeing a man who enjoys immunity by reason of his office, I call on him to immediately resign his position to enable him appear before the anti-corruption agencies to state his involvement or otherwise in the scam. â€œTo hide under the toga of Vice President and not face prosecution alongside other NEMA officials indicted by the House of Representatives report on the investigation would amount to a travesty of justice and the selectiveness that has unduly characterised the war against corruption since the inception of the present administration. â€œI give the VP seven (7) days to resign his position to enable him face the Economic and Financial Crimes Commission â€“ like ex-Governor Ayodele Fayose did recently â€“ to clear his name. â€œShould he fail to heed my humble appeal, I shall have no choice but to commence the process of making available to the public other corruption-related information concerning the Vice President that will most certainly shock Nigerians,â€ Frank stated.